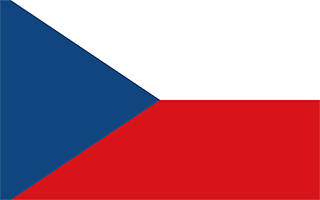 Czechia with its capital Prague is located in Europe (Central Europe, between Germany). It covers some 78,868 square kilometers (about two-thirds the size of Pennsylvania) with a population of 10,674,700. Czech and Slovak are the languages spoken by people in Czechia. Austria, Germany, Poland and Slovakia are bordering countries. Czech Republic (or Czechia) is a small landlocked country in Central Europe, situated south-east of Germany. The Czech Republic is not a large country but has a rich and eventful history. Driving in the Czech Republic is not as expensive as it is in other countries. Though Czech Republic is the country where modern beer was invented it is strictly illegal to drive a motor vehicle under the influence of any amount of alcohol. Czech people are very proud of their language, thus outside of the main tourist areas you will not find many signs written in English. Many older people, especially outside the large cities, are also unable to converse in English, so it's a good advice to learn some Czech or Slovak beforehand. The Czech Republic contains an impressive amount of architectural highlights and has beautiful landscapes to see. The topography is Bohemia in the west consists of rolling plains, hills, and plateaus surrounded by low mountains with Moravia in the east consists of very hilly country. The average density of population is about 135 per km². The climate in Czechia can be described as temperatecool summers, cold, cloudy, humid winters. Potential natural disasters are flooding. To reach someone Czechia dial +420 prior to a number. The local cellular networks are operated on 900 MHz, 1800 MHz, 3G, 4G. Websites typically end with the top level domain ".cz". If you want to bring electric appliances (e.g. battery chaarger), keep in min the local 230 V - 50 Hz (plugs: C, E). The sign for the locally used currency Koruna is CZK.